The locally assembled 2018 Kawasaki Ninja ZX-10RR was introduced earlier this year with an introductory price tag, and now gets a price hike of Rs. 88,000. The bike is now priced at Rs. 16.98 lakh (ex-showroom). The 2018 Kawasaki Ninja ZX-10RR has received a price hike of ₹ 88,000, and supersport offering is now priced at ₹ 16.98 lakh (ex-showroom). The litre-class motorcycle was recently launched in the country with a massive price cut as the model is now locally assembled, but India Kawasaki Motor (IKM) did say at the time that the prices were introductory and will be valid till the end of July 2018. The Japanese bike maker announced CKD operations for the Ninja ZX-10R and the ZX-10RR earlier this year, effectively making the ZX-10R India's most affordable litre-class superbike currently on sale. Fortunately, the price hike does not affect the Ninja ZX-10R yet, which continues to be retailed with a price tag of ₹ 12.8 lakh (ex-showroom). The price hike is hardly surprising, and the 2018 Kawasaki Ninja ZX-10RR still retains a nearly ₹ 5 lakh difference over its previous pricing. The bike is locally assembled at Kawasaki India's Chakan-based facility, near Pune, which also assembles a host of other performance bikes including the Z900, Ninja 650 and Z650, as well as the Ninja 300, which is currently the brand's most affordable model in the country. The 2018 Kawasaki Ninja ZX-10RR is the more track-friendly version of the standard Ninja ZX-10R, and actually comes quite close to the manufacturer's World SuperBike Championship (WSBK) winning bike. The Ninja ZX-10RR looks identical to the standard version but is offered in only with the all-black winter edition livery. The bike certainly looks menacing in appearance with the extra 'R', while there are a host of upgrades to make the model more track friendly. Upgrades include 7-spoke Marchesini forged aluminium alloy wheels wrapped in Pirelli Diablo Supercorsa tyres, a reinforced crankcase for higher reliability and a modified cylinder head. 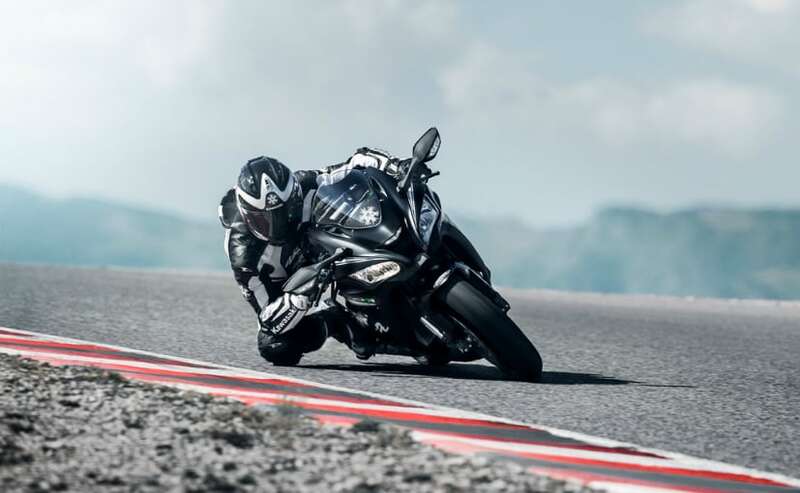 The Ninja ZX-10RR also uses a fully-adjustable 43mm Showa balance free front fork and a horizontal back-link, BFRC lite gas-charged monoshock, carbon-coated tappets, a stronger crankcase, Brembo M50 brake calipers with grooved rotors for additional cooling and a radial master cylinder. The Kawasaki Ninja ZX-10RR is powered by a 998 cc, liquid-cooled, four-stroke, in-line four-cylinder engine that produces 197 bhp of max power at 13,000 rpm and peak torque of 113.5 Nm at 11,500 rpm. The motor is paired with a 6-speed transmission and comes equipped with a host of rider aids and safety systems including the Kawasaki Traction Control, quick shifter, Engine Braking Control, ABS, Kawasaki cornering management function (KCMF) and engine braking function. The bike also gets the inertial measuring unit (IMU). The bike has a kerb weight of 206 kg.